and the whole front end for any abnormalities, this can cause a big accident or worse. A lot of the Goldwings have this wobble, at exactly the speed you mention. The first, best way to solve it is to not take your hands off the grips. Often replacing the steering head bearings with tapered bearings will solve the problem. Sometimes replacing the front wheel will solve it as well. Sometimes running with higher tire pressures will help. Sometimes nothing solves it at all. WingAdmin wrote: A lot of the Goldwings have this wobble, at exactly the speed you mention. The first, best way to solve it is to not take your hands off the grips. Glad someone else knows how to solve the minor problem! I would check the front tire for cupping, this is a major and common cause of a low speed front end wobble. I know, it has happened to me. I have the same problem with the wheel wobble. I have been told it is common by several dealers. Been told that there is nothing that can be done. Honda states you need both hands on the handle bar. Holding the handle bar doesn't eliminate the vibration it just stiffens it. The energy is still being transmitted to the tires causing premature tire wear. My brother has a 2005 a few months before me and he does not have this problem and he gets much better gas mileage and tire wear. I have changed 2 sets of tires front and back Dunlap Elites from authorized Dealers, more than one and the say the front end is tight and the tires are balanced. I am toally frustrated for spending so much money on the top of the line cruiser (so I thought) to have this problem. 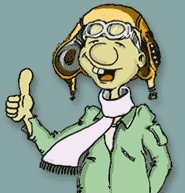 I'm beginning to think Honda is like Toyota, they know they have a problem but they don't want to spend the money on a recall. I want to buy another bike but who wants to buy a Goldwing that shakes. I recommend you check carefully, the bearings, the wheel rim if it turns right and your tires properly addressed if it turns right, and I install a brace fork, the fork brace is a good thing to install, if it continuous change your tire, there is a belt in the tire that work badly. My brother ave a 1500, and had the same problem, he installed a fork brac and all became soft at full speed . Excuse my English I translated with software. My GL1800 did this on the first test ride I took on it, I was not aware this was normal for them, I told saleman to have tech check air pressures. Bought bike and installed All Balls steering head bearings, now no more wobble. The taper bearings do seem to help, if for no other reason than increasing the torque on the steering head from stock...another thing you can try if you are also having issues with ride quality would be to look at aftermarket suspension mods (traxxion, racetech, etc)...if you pair the tapered bearings with some of the other add-ons, you can end up with a great handling bike. I'm on my 7th GL1800 right now, I replace them at 30,000miles or 2 years old, whichever comes first. I've had 2 bikes out of the 7 with a front wheel wobble that started at around 600miles. The front wheel felt as though it might be loose at approx 30-40mph. Eventually, both bikes were completely cured by fitting All Balls Tapered steering head bearings. I also have a pal with a 2008 GL1800 who, because the bike was new, took it back to the dealer for the very same problem - a wobbly front wheel feel at around 20-40mph. They fitted a new front tyre but the wobble came back around 900miles later. He asked me if I would fit him All Balls Tapers so I did - it cured his problem too, no more wobbly wheel feel - he's really pleased with the bike now. Make sure you always check your tyre pressures very regularly and keep them correctly inflated. Also, keep an eye on the rear tyre for flatting as this could cause the wobbly front wheel feel too. Just for your info - when I stripped these bikes down to remove the bearings and fit tapers I checked the Torque settings and on ALL 3 bikes the torque was less than stated in the Honda workshop manual - the locking nut, (same on all 3 bikes), wasnt tightened at all, it was finger loose and wasnt doing anything at all to stop the main nut from working loose. I'm not a motorcycle engineer or a tyre specialist, I'm just reporting my own experiences. You might be looking at the wrong end of the bike! Make sure the swing arm is not the "wobble" and make sure it's aligned properly, straight and the bike is not "crabbing". Also make sure of the tire pressures. I have no wobble and run 38frt, 42rr on Stones. tfdeputydawg wrote: You might be looking at the wrong end of the bike! Yup. I just cured a wobble (actually a weave) on my 1100 that I swore was at the front, due to new tires, and ended up being a swingarm with too much lateral free play. Front wheel wobble can also be caused by the rear wheel. I'd put the bike on the centerstand, start it up and put it in 3rd gear and observe the rear wheel. If it's out of balance or you have a broken belt (inside the tire), you will see the rear wheel "jump". As you have someone increase the throttle, you will see the difference. On my '02, one of the belts in the rear wheel delaminated (for lack of a better term) and it made my front end wobble more noticeable. Once the tire was replaced, the wobble diminished. Handlebar "wobble" at moderate speeds is normal on most big bikes. My 2003 also had this problem, replaced the fork springs with Traxxion springs and the fork oil to 15W and the wobble went away. It seems that it's a marginal issue and changing the steering bearings or the tyres or the for spring/oil will all cure it.. My wing still has less than 14,000 miles so I can't believe it's ready to have the bearings changed (although I did check check the bearings where not loose or over tightened) so springs and oil seemed reasonable.. 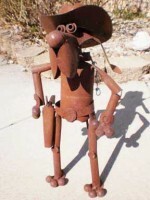 I have since changed the tyre and still no sign of the wobble. I had a bit of an annoying wobble, so when I took the trike in for Honda service, I asked them to rebalance the wheel and SPLIT the needed weight: 1/2 on each side of the rim. Would not have thought all of the balancing weight on one side of the rim would be a problem, bit it is much smoother now. Not sure about the 1800, but on the 88 1500 that I recently sold it had a similar issue. Loosen up on the handlebars and it would almost go to a tank slapper. Tightened the bearing nut on top and the issue was gone! 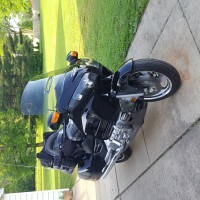 Motorcycle: I have a GoldWing GL 1800, 2006. 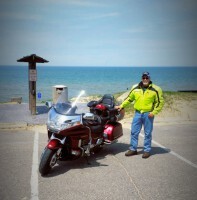 I have a GL 1800 GoldWing 2006. I have new tires installed. Dunlop Elete 4"s I how have a wobble at speeds 30 to 45 mph. Usually costing in 4th and 5th gears. I checked tires pressure was 36lbs. I will try 40 and 41 and see if it helps. I had no wobble with the old tires. They were Dunlop Elete 3's. Do you have any Ideas. I ran them around 40lbs. Thanks. DB. Had this problem with a 03 wing on time and progressive shocks and All ball bearings fix it. berrybest wrote: I have a GL 1800 GoldWing 2006. I have new tires installed. Dunlop Elete 4"s I how have a wobble at speeds 30 to 45 mph. Usually costing in 4th and 5th gears. I checked tires pressure was 36lbs. I will try 40 and 41 and see if it helps. I had no wobble with the old tires. They were Dunlop Elete 3's. Do you have any Ideas. I ran them around 40lbs. Thanks. DB. I am not impressed with the look of the Elite 4 front tire. It has a center groove around the tire, that I have found (with other brands with a center groove) tends to exacerbate any wobble that might be there. I like the Elite 3 front pretty well, and I really liked the Avon Cobra front. I try to avoid tires with one center groove for front use. Continental Conti fronts used to have all complete in line circumference grooves, and they were fine, but would follow rain grooves and tar snakes. Let us know if more pressure helps. 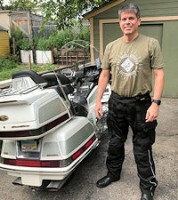 I have a 1982 goldwing 1100. Same issue, can't take hands off of handlebars without wheel and handle bar starting to wobble. Just replaced tires (Avon cobra's) and the issue was not resolved. Otherwise bike handles and rides nice. I had a front end wobble in one of my other bikes, what fixed it was a new front tire, balancing beads and the steering bearings replaced. It always ran smooth as silk after that. A dealer, sells bikes. Talk to a motorcycle service technician. This is not normal. There is something wrong or several somethings that are wearing out. It could be anything from an out of balance tire/rim, to air pressure, to bearings, and the list can get longer. Tires new and balanced. runs good, can go 100 mph and smooth as can be. Doesn't do it at 60 mph, only slower speed like below 45mph when let off throttle and just let the bars go (kept hands loosely around grip because has done this before new tires as well). All bikes will have wobble at the resonant frequency of the fork depending upon the damping force for any tire not perfectly dynamically balanced. The easiest solution is to first check the torque of the steering bearings. Ball bearings when properly torqued should exhibit no wobble at any frequency other than the resonant frequency, in the Wings case around 40 mph. The weight of the bike and amount of trail move the frequncy. Tapered bearings simply create much more damping at the expense of handling. If their is minimal movement that does not increase in amplitude when hands free and it can not be felt when holding the bars, there is no issue. Obviously if you hands are not on the bars you have significantly reduced damping. Rear tires issues create weave which is related but a different subject. If anyone is interested I can share some links that review the research.